Since 1912 the International Brotherhood of Electrical Workers Local 303 has proudly represented electrical and communication workers providing leadership, employment structure and a collective voice in the electrical trade. Our members reside, work and contribute to the local economy. Members of the IBEW Local 303 and the Niagara Peninsula Electrical Contractors Association have established a working relationship by building on the power of teamwork. 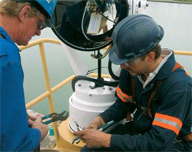 This partnership permits our employers to address the needs of their customers with a professional licensed work force. This is the partnership THAT BUILDS NIAGARA. This partnership is involved in various joint committees that develop and administer such aspects of our industry as apprenticeship and safety/skills training. The IBEW Local 303 members work with our partner contractors to offer professional and efficient solutions to every project – large or small.